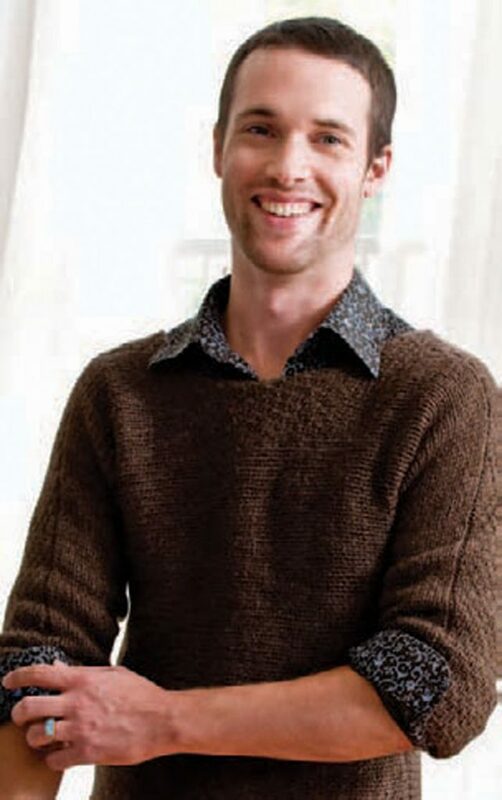 Knitting for men is a popular topic, and because we live to serve, we thought we’d gather our favorite men’s sweater patterns and package them up into a lovely collection: 7 FREE Knitting Patterns for Men. Knitting for men has come a long way since humble beginnings with Arabian merchants and sailors. In fact, when the first knitting trade guild was formed in Paris, knitting was considered a male-only occupation. These days knitting is shared and enjoyed by both men and women, and we’re here to help everyone find great patterns. 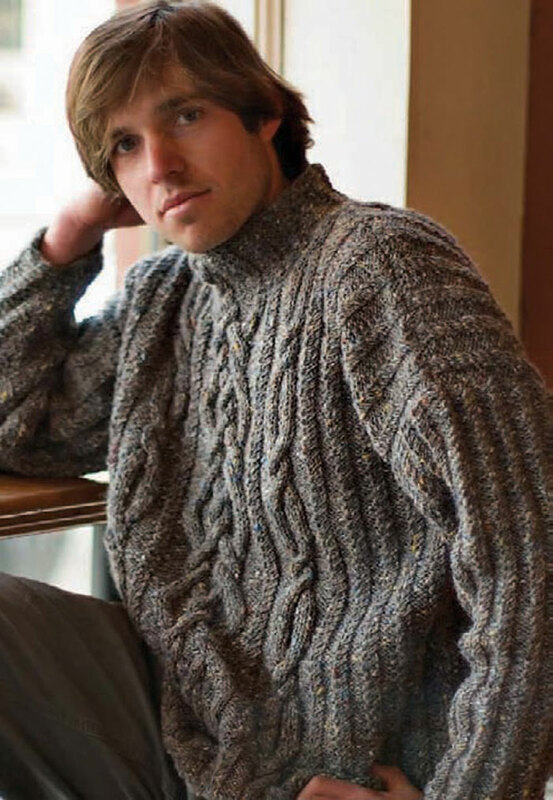 This wonderful collection of free men’s knitting patterns has something for everyone. 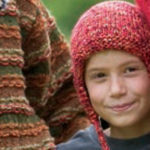 These knitting patterns were hand selected for design and superior quality as our gift to you. No strings attached! Whether you pick a favorite or make them all, each design will keep him coming back again and again. You’ll find a functional cable knit for the “handy” man, a warm knit gansey for winter days, and a handsome scarf for that extra touch. So guys, this one’s for you! 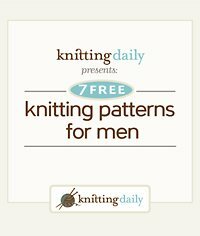 Find the perfect pattern with 7 Free Knitting Patterns for Men. Best of all, it’s absolutely free! This pattern features set-in saddle shoulders which emphasize the stately ribbing at the shoulder line. Ribbing at the hem and cuffs blend smoothly into a garter rib pattern that creates drama without making the sweater pull in. 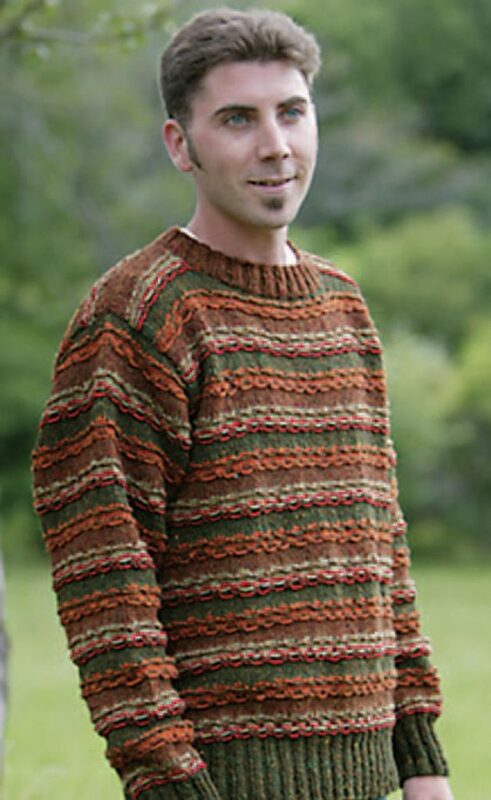 A classic sweater pattern men can wear year after year. The interplay of horizontal and vertical ribs produce an undulating, curved effect that adds texture to a relatively simple stitch pattern. 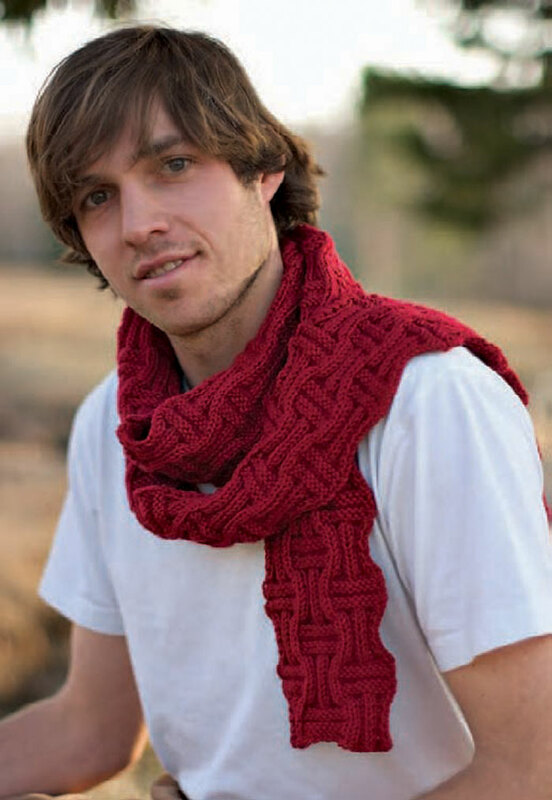 This men’s knit scarf pattern can be worked up in any shade to match the seasons. Bring him along to pick out the yarn so you can start knitting this scarf for him. A true live-in garment, this men’s sweater combines wide and narrow open cables with mini-cable ribs for a truly musical composition. The rustic tweed yarn and reverse stockinette-stitch background play to create a rhythmic pattern throughout this men’s sweater pattern. Earth tones blended with warm red tones make this men’s knit sweater perfect for the fall. A simple slip-stitch pattern makes for easy two-color knitting. A classic for the man in your life that you can start knitting today. These unisex textured knit gloves are perfect for warming cold hands while letting fingers free to work or play. Knit in soft alpaca, these men’s knit gloves are perfect for fall or winter. 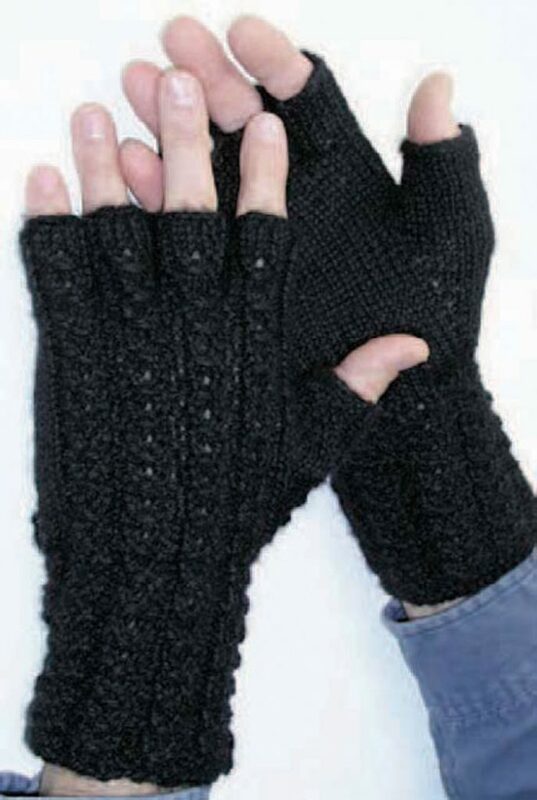 Or, for a warm, hardier pair knit these fingerless gloves for men in wool. Once they see them, all the men in your life will be asking you to knit them a pair. 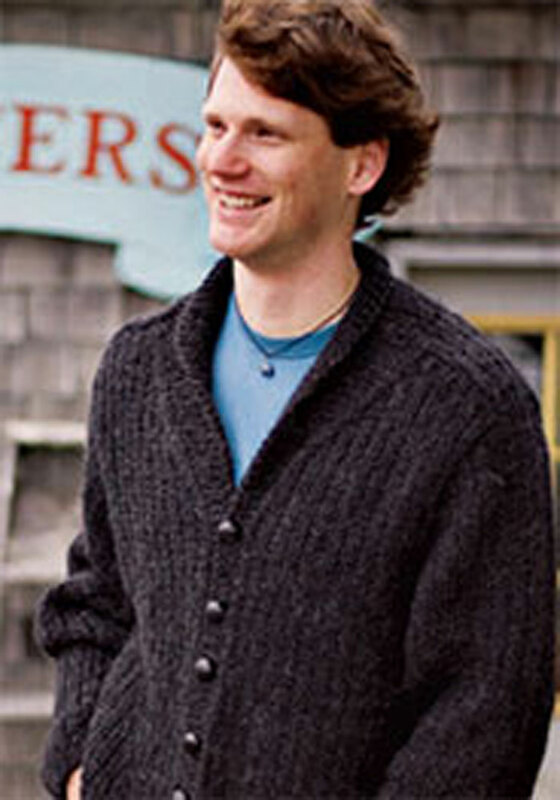 Linen adds a simple, straightforward embellishment to this stylish men’s sweater pattern. The designer slips stitches all the way up the sleeves of this pullover, working it in one piece from cuff to cuff. Try this pullover in many colors for every look from relaxed weekend to business casual. 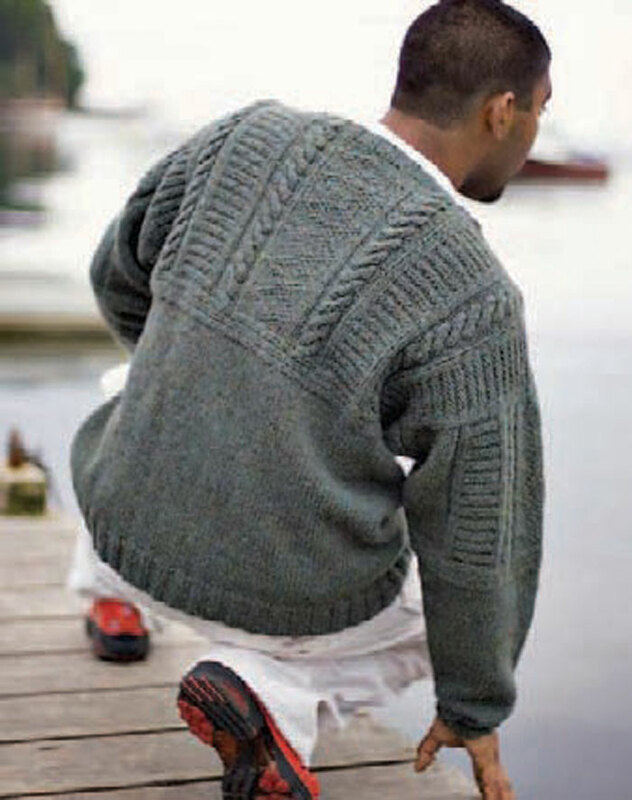 You’ll find visual tutorials and detailed instruction for each men’s knitting pattern. Each knit sweater pattern was selected to fit the specific needs of men’s sweaters. The knit gloves and men’s knit scarf pattern are essential accessories that satisfy simplicity without boredom. From beginner to experienced, each of these FREE knitting patterns for men can be both a delight and challenge. So here’s to you, men! Let’s get knitting!